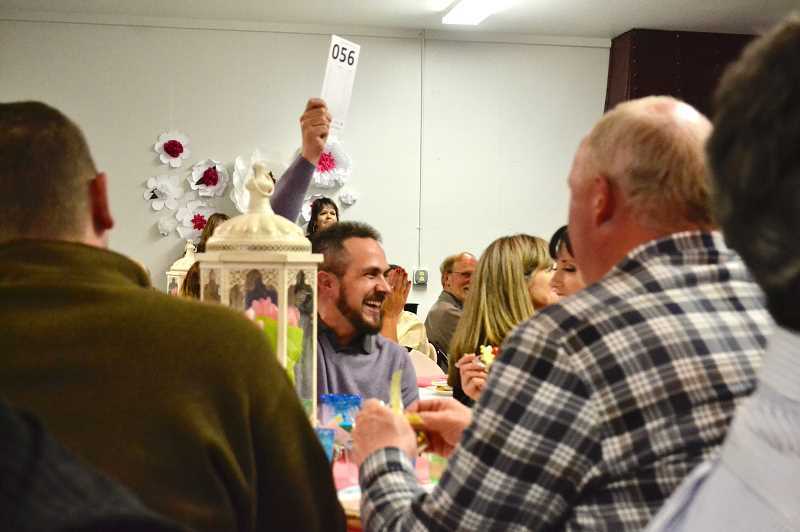 If you're interested in bidding on unique auction items and connecting with fellow community members, add the Estacada Chamber of Commerce's Spring Gala to your calendar. The annual event is scheduled for 6 p.m. Saturday, April 27, in the fireside room at Estacada First Baptist Church, 29101 S.E. Eagle Creek Road. "We're really excited about making this a nice event," said Nancy Horton, administrator for the Chamber of Commerce. "We want to make it something people look forward to each year." The event is the chamber's main fundraiser of the year and has grown annually since its inception in 2017. Each year, the chamber has had to find a new venue because the gathering outgrew its previous location. In 2017, the event drew around 120 people, and this year, 160 are expected. The evening will feature dinner, along with live and silent auctions. Food will be provided by the Workshop Catering, and auction items typically include products and services from local businesses. Past auctions have featured gift cards, boat rentals, television accessories, bed and breakfast stays, and trap shooting sessions. "There are all kinds of different items," Horton said. live auction will begin at 7:30 p.m.
Tickets are available for purchase from the Estacada Chamber of Commerce office. The cost is $25 for a single ticket or $175 for a table of eight, and individual tickets rise to $30 on April 22. Sponsors and supporting businesses of the event include Portland General Electric, Events Etc. NW, Harvest Market, Joe Kaufman Attorney, Linx Media, the Mason Jar Cafe, Whitney Signs and the Workshop Catering. Last year, the gala raised more than $6,000. "I think the biggest draw is that it's a unique event for Estacada, with an auction and dinner, and it's benefiting the community so the chamber can continue to support and promote member businesses," Horton said.